Check out Mondo’s newest enamel pin series from the talented Tom Whalen featuring three beloved characters from the timeless classic The Wizard of Oz! 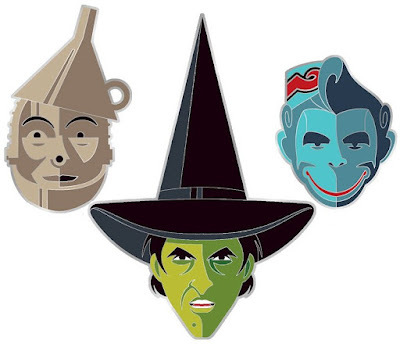 Available individually or as a set, The Wizard of Oz Portrait Enamel Pin Series includes The Wicked Witch of the West, The Tin Man and the Winged Monkey. Fans can purchase these shiny silver nickel enamel pins now at the Mondo online store as a 3 piece set for $25 or individually for $10 each.